Brian Page made his first million before the age of 30 in the wild world of real estate. During the historic crash of 2007, he lost it all. Starting over with no credit or savings to speak of he went on to start an Airbnb business, making over six figures in his first 6 months, using properties he doesn’t own. 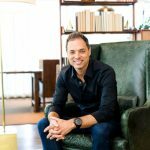 After automating and outsourcing nearly every aspect of his business, Brian has enjoyed traveling the world and managing his Airbnb empire from his laptop, seeing 16 countries so far just this year. He believes wealth is not merely having money, but also the time and freedom to enjoy it. Brian’s BNB Formula Masterclass reveals exactly how he started and grew his business so fast and how you can do the same in any of the 192 countries Airbnb operates in. BNB Formula is the only teaching of its kind showing entrepreneurs how to build a multi-listing six to seven figure Airbnb business -without having to own a single property as well as how to outsource and automate that business. Brian charges $5,000 per day to work with clients one on one, but his 8-week masterclass and live group coaching reveal the same techniques and simple step by step formula. Seize this outstanding opportunity and begin building your own Airbnb Empire today!